Cowboys RB Ezekiel Elliott was granted a temporary restraining order against the NFL, thereby putting his six-game suspension on hold and allowing him to be available for the remainder of the season while his case is sorted out. However, Ian Rapoport of NFL.com tweets that the NFL is considering appealing that restraining order and is still discussing the matter with its attorneys. The toe injury that has been ailing Redskins TE Jordan Reed is actually a fracture in his big toe that impacts the way he runs, and he will be battling that injury for at least the early part of the season, as Rapoport writes. Reed is one of the most talented tight ends in the league, but he has yet to play a full 16-game season. The Eagles have returned the 2019 seventh-round selection they received from the Saints in the Jon Dorenbos trade in light of Dorenbos’ need for heart surgery and his release from New Orleans via injury settlement, as Howard Eskin of 94 WIP reports (via Twitter). Saints safety Kenny Vaccaro is eligible for unrestricted free agency next offseason, but Josh Katzenstein of the Times-Picayune does not expect the two sides to agree to an extension during the season. He still believes they will reach a long-term deal at some point next year, but as Vaccaro’s value is up for debate, the team may prefer to see how he performs in 2017 before making a big commitment to him. Rams head coach Sean McVay was a key figure in getting star DT Aaron Donald to end his holdout, according to ESPN’s Adam Schefter. Rather than traveling with the team to Green Bay for the Rams’ final preseason game, McVay went to Atlanta with Rams executives to meet with Donald’s representatives, and his presence underscored how important Donald was to McVay and to Los Angeles. It also helped to facilitate dialogue between the two sides. Michael Rothstein of ESPN.com believes the Lions will wait to see if any of their young talent along the defensive line breaks out before going after an established veteran. Detroit’s pass rush is currently suspect at best, but the team could be hesitant to make a move until next week because if a veteran signs before the first game, his salary is guaranteed for the year. Plus, it’s not as though the free agent market is currently brimming with DL talent, as former Lions Wallace Gilberry and Darryl Tapp are among the best players available. A Saints physical revealed long snapper Jon Dorenbos will require heart surgery, and as a result, the popular specialist’s tenure with the team ended. The Saints released Dorenbos from their NFI list, via injury settlement, Nick Underhill of The New Orleans Advocate reports (on Twitter). The team placed Dorenbos on its NFI list on Friday after news emerged of the impending heart operation. New Orleans traded a 2019 seventh-round pick to acquire Dorenbos late last month, and he was set to begin a 15th NFL season. Instead, the 37-year-old long snapper/magician has more important issues at hand. This news follows a report out of Louisiana earlier this week of the Saints wanting to rescind the Dorenbos trade with the Eagles. A two-time Pro Bowler who snapped for three teams — including the past 11 seasons with the Eagles — Dorenbos spent barely two weeks with the Saints, who signed long snapper Zach Wood to replace the veteran. The Saints will attempt to rescind the trade that sent long snapper Jon Dorenbos from Philadelphia to New Orleans given the news that Dorenbos will require heart surgery, head coach Sean Payton told reporters, including Josh Katzenstein of the Times-Picayune (Twitter link). Because Dorenbos’ aortic aneurysm is a pre-existing condition, the Saints should be able to recoup the 2019 seventh-round pick they dealt to the Eagles. To be clear, Dorenbos’ health is clearly the most important issue at hand, and the re-acquiring of a draft pick isn’t at the top of the Saints’ itinerary at the moment given Dorenbos’ impending surgery. As Katzenstein tweets, Payton didn’t bring up the effects on the original trade and was merely answering a question from the media. Nevertheless, New Orleans will need to replace Dorenbos on the field. Free agent long snapper Jeff Overbaugh will work out for the club today, joining a group of snappers that will audition for the Saints on Friday, reports Herbie Teope of the Times-Picayune (Twitter link). Justin Drescher, whom the Saints cut after acquiring Dorenbos, could also be an option, although that’s entirely speculative. Drescher was released with an injury settlement, so New Orleans might not have the right to re-sign him just yet. For what it’s worth, Dorenbos has been dealing with a heart murmur for at least five years, according to Les Bowen of the Philadelphia Inquirer (Twitter link), who adds the Eagles were “monitoring” the condition. Saints long snapper Jon Dorenbos had an aortic aneurysm, coach Sean Payton told reporters on Friday. Dorenbos will be placed on the non-football injury list as he undergoes open heart surgery. The Saints acquired Dorenbos in a trade with Philadelphia less than two weeks ago. Eagles coach Doug Pederson says the team was unaware of the condition at the time and is only just learning about it today along with everyone else. Dorenbos spent eleven seasons with the Eagles before he was sent to New Orleans for a 2019 seventh-round choice. He earned Pro Bowl honors in both 2009 and 2014. We here at PFR wish Dorenbos the best of luck during this difficult time. Monday’s been oddly populated by long-snapping news, and the Eagles and Saints jumped into the fray toward the end of the day. 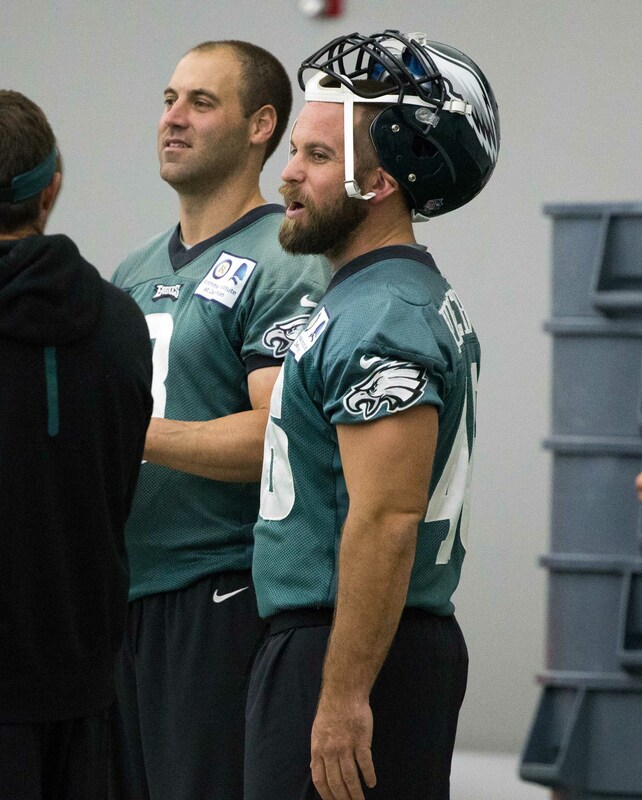 Philadelphia traded long snapper Jon Dorenbos to New Orleans in exchange for a 2019 seventh-round pick, the Eagles announced Monday night. Dorenbos spent 11 seasons with the Eagles and has been snapping since 2003. The 37-year-old figures to take over the Saints’ specialty snapping duties. The longest-tenured Eagle, Dorenbos made two Pro Bowls — in 2009 and 2014 — and made enough of an impact for owner Jeffrey Lurie to release as statement (via Geoff Mosher of FanRag Sports, on Twitter) thanking him for his contributions over the past decade. The 15th-year snapper signed a three-year extension in 2016, and $500K of his $1MM base salary is fully guaranteed, as Adam Caplan of ESPN.com points out (on Twitter). Caplan adds (via Twitter) $500K of Dorenbos’ 2018 salary ($1.015MM) becomes fully guaranteed on March 18. Rick Lovato will take over the Philly gig. The 24-year-old Lovato snapped in seven games with the Packers, Redskins and Eagles between 2015-16. The younger specialist was likely going to supplant Dorenbos, Jeff McLane of Philly.com tweets. The Saints re-signed their longtime snapper, Justin Drescher, earlier this month. Dorenbos figures to be the favorite to win this job, though. Drescher, 29, has snapped with the Saints for seven straight seasons. Sean Payton said just before Drescher’s return he was unhappy with the team’s inconsistent long snapping but noted last week he was pleased with Drescher’s work during the preseason. Drescher was outfitted with a walking boot on Monday, Josh Katzenstein of NOLA.com reveals (on Twitter). That would help explain the decision. This is the second trade involving a long snapper today. The Jets and Colts made a lower-profile swap earlier. The Ravens and Bears also signed long snappers today. The Eagles’ running back corps continues to take hits and will be without one of its members for the rest of the season. Among a host of Monday moves, Philadelphia placed rookie Wendell Smallwood on IR. Tackle Matt Tobin will also venture to the team’s IR list, where he’ll join long snapper Jon Dorenbos, whom the Eagles placed on the season-ending list after he was declared out for the season earlier today. To begin filling this trio’s roster spots, the team signed former Jaguars cornerback Dwayne Gratz and long snapper Rick Lovato. Gratz’s deal is for two years, Adam Caplan of ESPN.com reports (on Twitter). Both the Jaguars and Rams cut Gratz this season. The former third-round pick played in three games for both teams this season, recording five tackles. 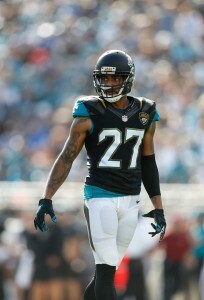 He started in 17 games for the Jags in 2014 and ’15 but did not show enough to stick around through what began as his contract year. A knee injury will close Smallwood’s initial NFL campaign. The fifth-round pick rushed 77 times for 312 yards, receiving multiple carries in 11 of the Eagles’ 13 games. This news comes after it became known Darren Sproles is in the concussion protocol, leaving the Eagles with Ryan Mathews, who returned last week from his latest injury to rush for 60 yards, and Kenjon Barner as healthy backfield options. Tobin, a fourth-year ex-UDFA, started one game this season after breaking with the first unit in 20 games in ’14 and ’15. He played 31 snaps against Washington on Sunday but will miss the season’s remainder with a knee injury. Lovato has been something of a snapper-on-call during his two-year career, with the Old Dominion product catching on with the Packers to close last season and joining the Redskins for a two-game stint in November. He’ll likely snap for the Eagles in their final three games. The Eagles need a new long snapper. Jon Dorenbos is done for the season after undergoing wrist surgery, according to a team announcement. It will be a while before Dorenbos can snap a football or do a card trick. Recently, the Eagles gave Dorenbos a multi-year extension. Not only is Dorenbos the team’s longest-tenured player and a locker room leader, but he provides a steady hand at an underappreciated position. The Eagles will now have to find a replacement for the two-time Pro Bowler on the open market. If Dorenbos plays out his newly-minted contract (through 2019), he will set the record for most games played in Eagles history and tie Chuck Bednarik for most seasons with the franchise. The 5-8 Eagles are currently in line for the No. 10 pick in the draft, though that selection will go to the Browns. Thanks to the Sam Bradford deal, they own the Vikings’ No. 1 choice this year. If the season ended today, that would net them the No. 16 overall pick. The Eagles announced that they have extended the contract of long snapper Jon Dorenbos. The new deal will take him through the 2019 season. Dorenbos’ deal comes on the heels of an extension for fellow special teamer Chris Maragos. Maragos’ deal also locks him up through ’19. After going undrafted out of UTEP, Dorenbos joined the Bills prior to the 2003 season. Eventually, he found his way to the Eagles when long snapper Mike Bartrum suffered a career-ending neck injury. 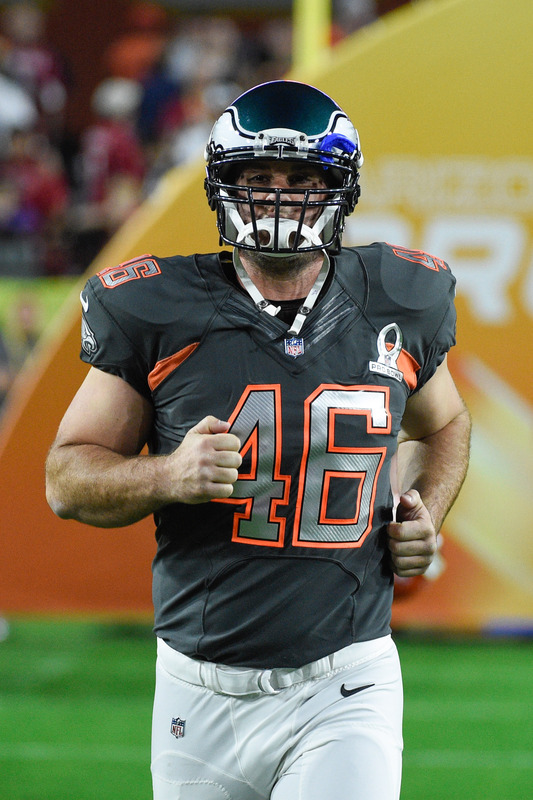 Since then, Dorenbos has earned two Pro Bowl nods and now stands as the team’s longest tenured player. If Dorenbos plays out this contract, he would set record for most games played in Eagles history and tie Chuck Bednarik for most seasons, as Zach Berman of the Philadelphia Inquirer tweets. Dorenbos recently received some attention for his second greatest talent – magic. This year, he appeared on America’s Got Talent and wound up finishing third in the competition. Just this week, he returned to national television with a spot on Ellen, as detailed by NBC10.